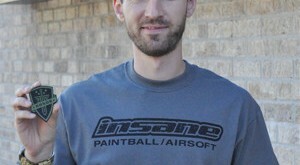 Airsoft is about Honor and Integrity and this nominee has shown these characteristics both on and off the field. Blake, JP and Rick from American MilSim have nominated Frank G Yuk for an Elite Force Honor Patch based on two standout acts of honor. 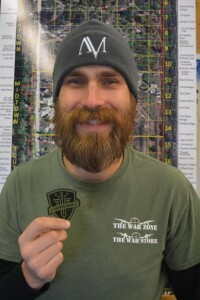 Frank, is as it’s so succinctly stated on his Instagram Bio: Part Owner, Staff, Mercenary, Instructor, Referee and Adult Baby sitter at The War Zone Airsoft Battlefield and Solution Provider at The War Store, Inc. Buffalo, New York. Frank G Yuk is being awarded the Elite Force Honor Patch 002. His first act of honor came at American Milsim’s RDG when Blake’s 14 year young nephew Noah (playing in his very first Milsim Event) found himself face to face with Frank on what should have been a parlay situation. The youngster, with adrenaline racing proceeded to light up Frank from approximately 5 feet away… and we mean LIGHT… HIM.. UP! We’ve all seen the YouTube videos of what often happens immediately following an overshooting in close proximity. Fist fights, brawls, screaming and swearing fits & just plain bad sportsmanship… Well not in this case. Frank took it like a boss. Blake spoke with Frank later in the day and Frank explained that he knew Noah was a younger player who was still learning and expressed that he understood how excitement can get the best of even much older & experienced players. Later in the day Frank found Blake’s nephew Noah and with a fist bump told him that he did a good job. Frank’s reaction to this type of an event is a lesson to us all. Don’t forget why you started playing airsoft. This game is all about having fun, exercising integrity and having honor. Frank’s actions serve as an example to the rest of us to live the principles of this game we love. The Story of Mr. Yuk’s honor doesn’t stop there. During the AMS Iron Clad game the AMS crew received a report of two extremely neglected dogs that were on the verge of starvation not far from the event. Frank took time out of his game play, a game that he paid to attend mind you, to gather these two pooches and give them a ride to the local shelter to assure that they’d be taken care of. 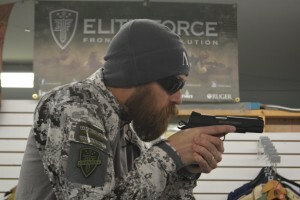 On and off the field, Frank G Yuk embodies the characteristics of honor and has truly earned his Elite Force Honor Patch and the respect of the Airsoft Community. Thanks for being an awesome human being Frank!